How to learn to play "chopsticks"
To start playing on the synth , you should choose the right and convenient location for the instrument. Importantly, the elbows young musicians were on the same level with the keyboard. Management setup accompaniment is performed by means of the several keys is the lower octave of the synth. 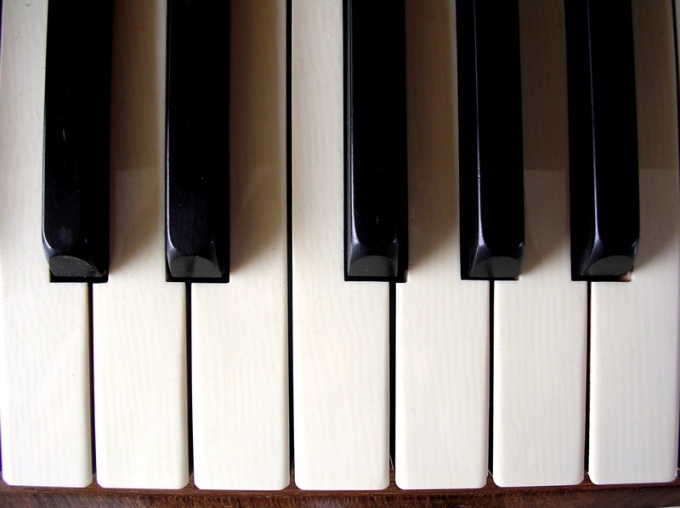 Notation chords relate to notesthat, as a rule, signed on the synth in the left part of the keyboard above the keys. Among the most popular ways to control and synthesizer configuration is worth noting: the envelope setting is used to change the characteristics of sound. Different models of synthesizers include the number of envelopes. Tracking (dynamic and keyboard) is used to control the speed of keystrokes and their positions. Before performing any exercise you need to choose the game mode. The first game mode on the synth – Fingered. In this mode, create a melody impossible, big octave is locked and can be played on synthesizer only chords consisting of three or four chords. In order to be able to hear how a chord sounds, you should consistently press 3-4 sound across the note. If you change the pitch of sounds or sights, the sound of the chord be the same. These chords belong to the automatic accompaniment, they perform exclusively with the left hand. The name of the chord appear on the display of the digital keyboard.In the sound mode Full Range Chord consists of all the keys. If you pinch certain keys or simultaneously press all, you will hear the chord. Auto accompaniment mode CFSio Hord makes it possible without special skills and knowledge to take the chords from 4 types. 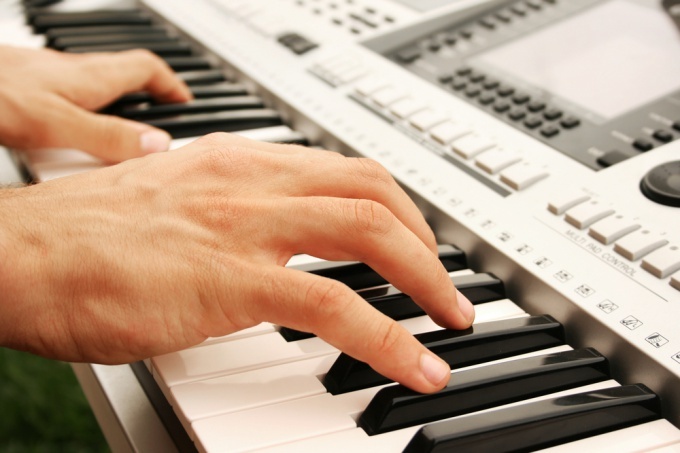 If you are going to visit the first lesson on learning to play the synthesizer, you should use some tips: above each letter write the numbers 2-4 depending on the number of fingers required for the execution of the chord.Basic notes of a chord is clamped a finger on the left hand, this arrangement will provide easy addition of pressing a few keys. Press the chord should be strictly with the specified style of the text that is marked with the necessary number. Harmony is held until the moment when takes place a change of syllable. If in the future you'll play with the included rhythm, keep the keys is not required. Adults often feel a craving for playing a synthesizer. Unfortunately, not all have the perseverance and time to master the musical instrument. If this process is divided into stages, in another month we can confidently understand the music of unfamiliar melodies. Understand what an octave. Keyboard synthesizer consists of repeating parts - the octave. Manuals for musical instruments you will find an explanation, as are those parts on the piano keyboard or piano. Remember the names of all octaves. Using the documentation on synth, find out which octave covers the instrument. The synthesizer can be a different number of octaves, depending on instrument. Have to be 1 octave - it start counting all the other left and right. All the same, as on a piano, only octaves will be less in number. Find the key to" 1st octave. Next to it you should be sitting when you play on the synth. Find synthesizer fundamental and derived sounds of the 1st octave. In other words, you must know where the 7 sounds and the same sounds with the sharps and flats. Go from sound "to" 1st octave to the right on the keys: C-sharp, re, re sharp, mi, FA, FA sharp, Sol, Sol sharp, La, La sharp, si. Now go down the 1st octave: C, b flat, La, La flat, salt, salt-flat, f, e, e flat, d, d flat, to. When memorize the sounds in order, learn to find them randomly. Find basic derivatives and sounds of the 1st octave on the stave. Need music books. Stave is 5 lines, on which are written notes. 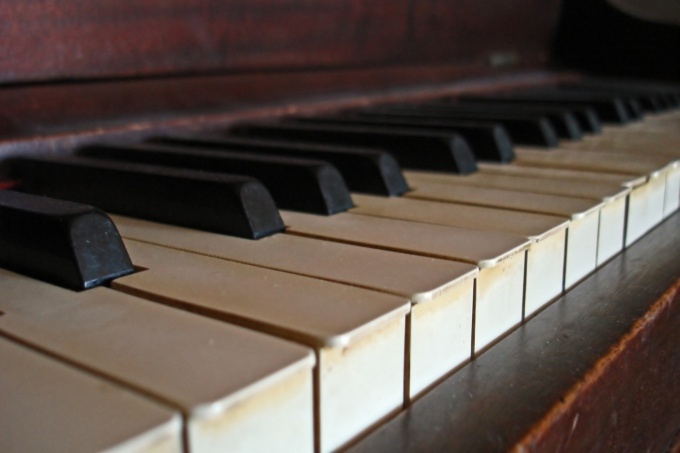 When you play the keyboard you will need knowledge of notes in bass and treble clef. Using manual on read and write music, learn to write all the notes of the 1st octave in the treble clef. Bass clef will need when you start to play with two hands. Disassemble the keyboard play a familiar song, all the notes which are located in the 1st octave. Now the main task is to learn to "move notes" from the stave to the keyboard synthesizer. A familiar song is used in order to not be distracted by the duration of the sounds. You will play the melody by ear, but to press notes, which are written in teach yourself piano or synthesizer. Learn the rudiments of music. To parse an unfamiliar melody, the sounds must be understood as determined by the duration of each note. First learn the theory without a tool, learn how to count the duration of notes. Next, do the tutorial for the piano. Every day practice. It is better to play for 15 minutes every day than for 3 hours once a week. Children's synthesizer has significantly less features than the regular, but it has a specific eight-bit" sound. For this, he finds adherents, not only among children but also among music artists in the genre that is called "8 bit". User interface cheap children's synthesizers from different manufacturers are usually standardized. On and off the synthesizer performs a mechanical switch (usually it's called "Power"). It included the provision corresponds to the illuminated led of the same name. To adjust volume use the two arrow keys labeled "Volume". To select virtual musical instrument use one of the eight keys with the names of the tools. To select automatic accompaniment use one of the eight keys with the names of various rhythms. To adjust the tempo of auto accompaniment use the two arrow keys marked as "Tempo". In order to play the virtual percussion instruments, use the four keys with their names. Pressing key labeled "Select" to select the operating mode of the above four buttons: either an imitation of percussion instruments, or the imitation of animals ' voices. By pressing the key called "Record" switch on the record mode. Will light up the corresponding led. Play the melody, remembering that the memory of the tool is limited. Click again on the same key, and the led will turn off. Press "Play". Will start playback of recordings. Keys Tempo will change the playback tempo. If during the recording were used the drums or the voices of the animals, press the "Select" and in the new playback they will sound in a different mode. Similarly, you can play the melody on a virtual instrument, and play it back using any other. Remember that in normal mode, the synthesizer is a two-voice, recording and playback is monophonic. Automatic accompaniment is one of the voices. To record and playback. When power is turned off is made, the record is deleted. If even the minimum volume will seem excessive, connected in series with a dynamic head resistor of about 100 Ohms and a capacity of at least 0.5 watts. If your child complains that when you play the piano it is inconvenient to stretch the fingers of the hand, give him a children's synthesizer - the distance between the keys on it less.